Acid attack, a vitriol attack or vitriolage, is a form of violent assault defined as the act of throwing acid or a similarly corrosive substance onto the body of another with the intention to disfigure, maim, torture, or kill. It never kills but devastates the sufferer’s life mentally, morally, physically and financially. 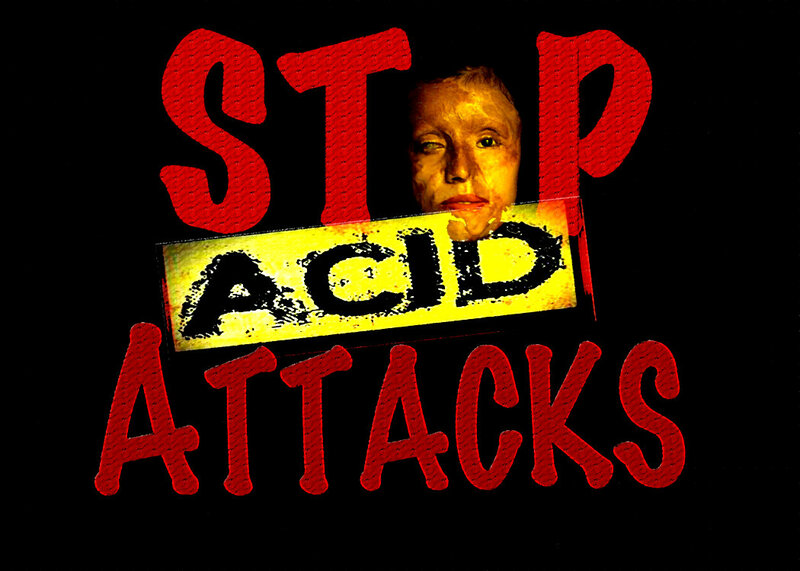 Acid attacks have a catastrophic effect on human flesh and vital organs. In most of these attacks, hydrochloric and sulphuric acid are used. These corrosive substances cause the skin tissue to melt. The bones of the victims become exposed and, sometimes, the acid dissolves the bones too. Furthermore, if acid enters the eyes of the victim during an attack, as is common in acid attack cases, it damages these vital organs permanently. Many acid attack survivors have lost one or both eyes. As a result of disfigurement and disability, the victims are permanently debilitated and are forced to give up their public lives, work and education. Section 326B of Indian Penal Code, 1860 - Voluntarily throwing or attempting to throw acid - Whoever throws or attempts to throw acid on any person or attempts to administer acid to any person, or attempts to use any other means, with the intention of causing permanent or partial damage or deformity or burns or maiming or disfigurement or disability or grievous hurt to that person, shall be punished with imprisonment of either description for a term which shall not be less than five years but which may extend to seven years, and shall also be liable to fine. Explanation 1 —For the purposes of section 326A and this section, “acid” includes any substance which has acidic or corrosive character or burning nature, that is capable of causing bodily injury leading to scars or disfigurement or temporary or permanent disability. Explanation 2 — For the purposes of section 326A and this section, permanent or partial damage or deformity shall not be required to be irreversible. Section 357B of Code of Criminal Procedure, 1973 - The compensation payable by the State Government under section 357A shall be in addition to the payment of fine to the victim under section 326A or section 376D of the Indian Penal Code. Section 357C of Code of Criminal Procedure, 1973 - All hospitals, public or private, whether run by the Central Government, the State Government, local bodies or any other person, shall immediately, provide the first-aid or medical treatment, free of cost, to the victims of any offence covered under section 326A, 376, 376A, 376B, 376C, 376D or section 376E of the Indian Penal Code and shall immediately inform the police of such incident. Also as per newly added seventh clause to section 100 of Indian Penal Code the right of private defence of the body extends to the voluntary causing of death or of any other harm to the assailant in case of an act of throwing or administering acid or an attempt to throw or administer acid which may reasonably cause the apprehension that grievous hurt will otherwise be the consequence of such act. To eradicate acid violence, governments must address its root causes: gender inequality and discrimination, the availability of acid, and the impunity of perpetrators. 3. Provide redress to victims, including compensation for healthcare costs. 2. Support industry and government efforts to regulate the safe-handling, storage, labeling, transfer, and disposal of acid by manufacturers, distributors, and other business and individual users of acid in order to deter the unauthorized use of acid. people should learn a lesson by this blog please stop that bloody acid attacks. Nowadays acid attacks are modest in India. 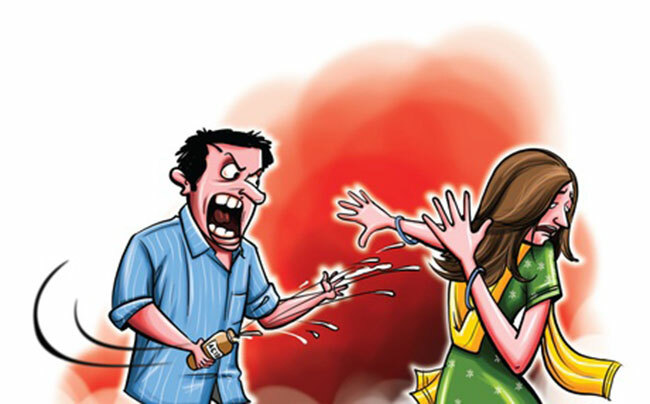 Indian Penal Code had been improved in 2013 with an aim to control acid attacks.